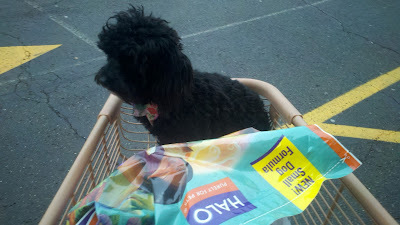 Went to Petco yesterday to pick up some dog food and pooch stairs for our dog. We are having some joint issues with her and so hoping the pooch stairs to our bed will deter her from jumping up and off. Our bed is pretty high. She was all freaking out when we walked into the store. 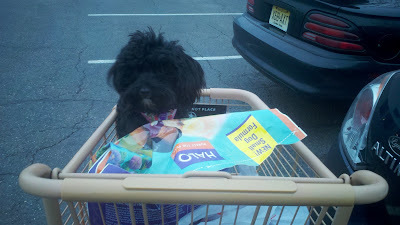 I had to grab a cart for the stuff because I wasn't able to hold everything in my hand AND manage her leash as she would run from side to side. I am in the aisle picking up the big ole bag of food when I turn around to her SQUATTING to poop. She freaking pooped in the store... in front of a Petco employee. Random musings... includes some attitude too.